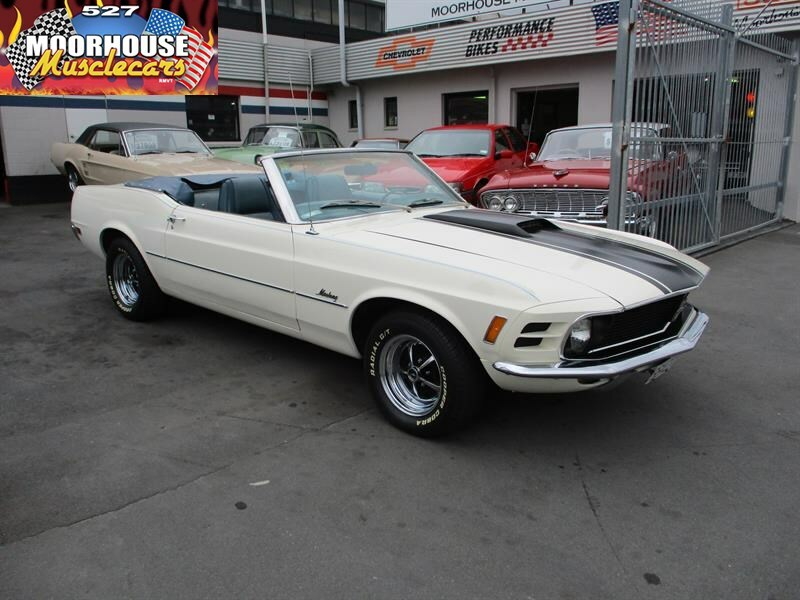 Summer is just around the corner! 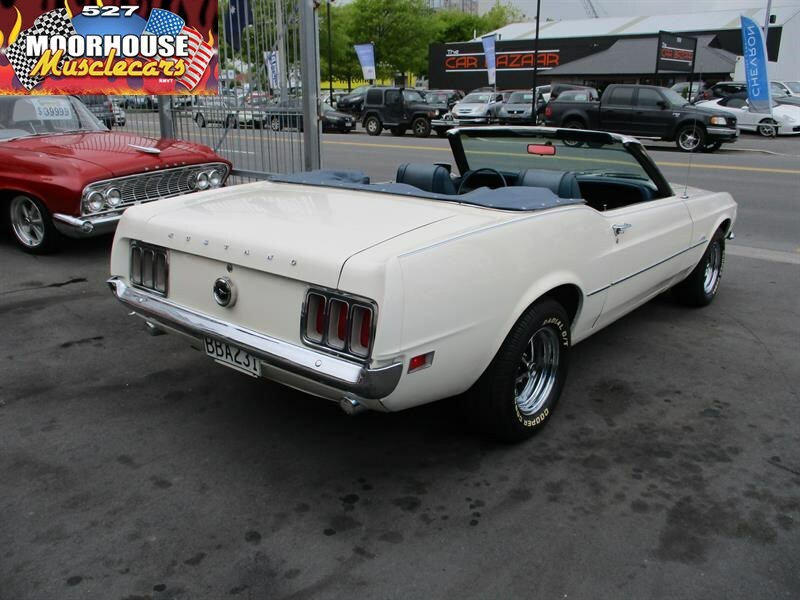 and this is just what you need for cruising around on those lovely warm summer days! 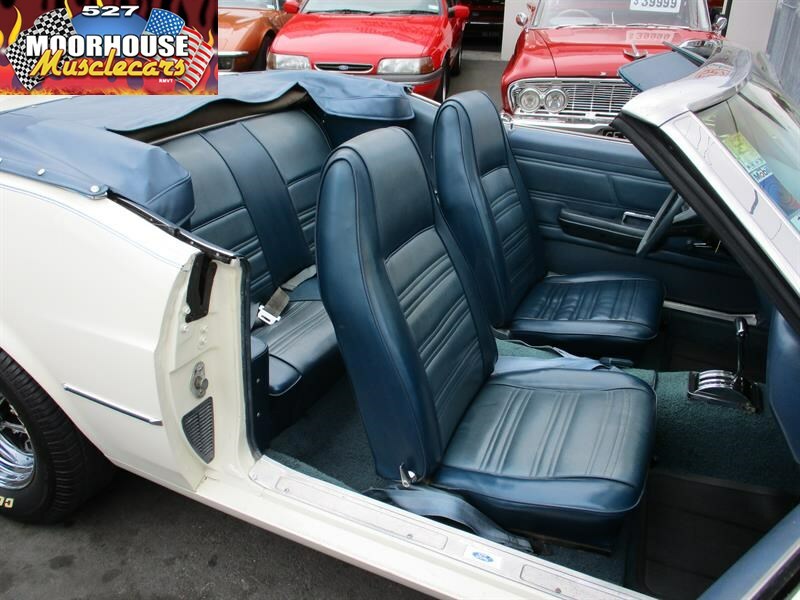 This very sharp looking 70 Convert is a really clean old survivor in classic Wimbledon White with contrasting sparkling blue interior trim. 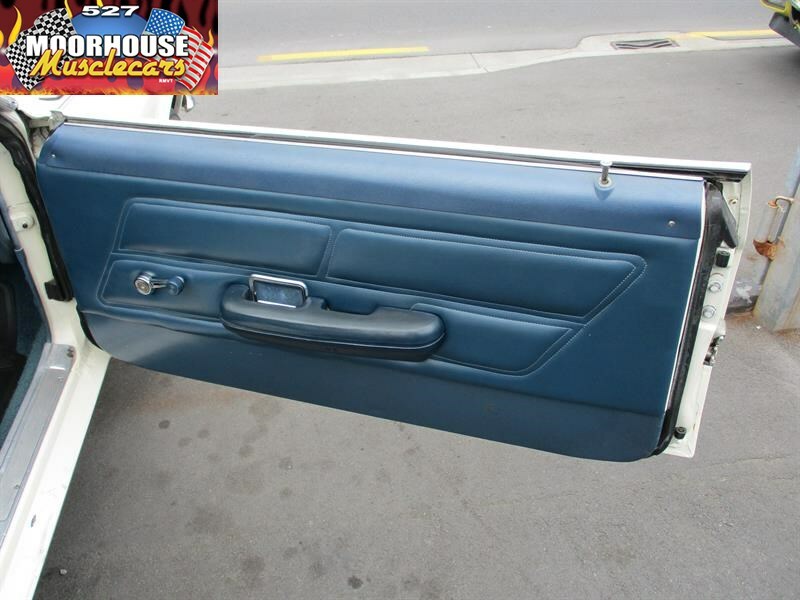 What appears to be a very solid body is straight and clean with older but very clean presentable paintwork, with only minor signs of having been thoroughly enjoyed throughout the years. 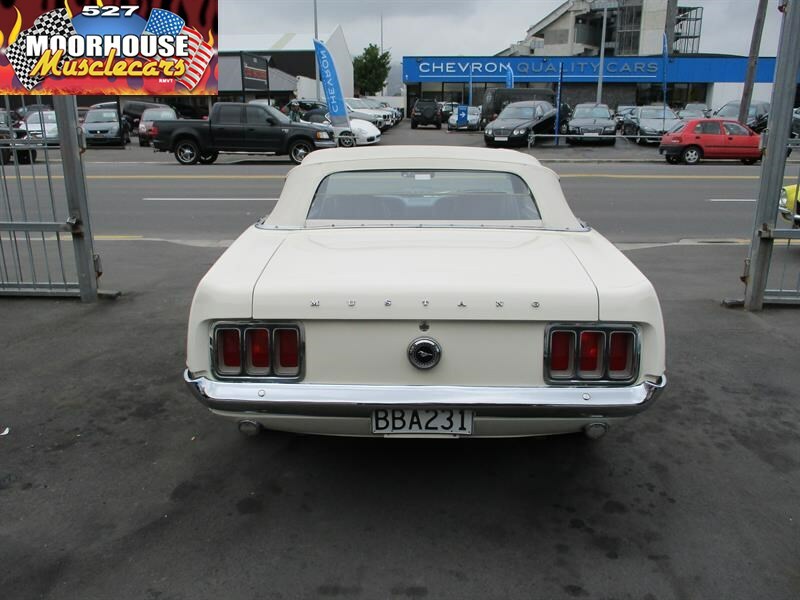 Residing in the very honest engine bay is a lovely 2V 302 which seems very happy in its work, which is coupled up to an automatic transmission, with power steering all coming together to give this example lovely road manners, and a great all round user friendly feel with that unmistakable classic Mustang charm. 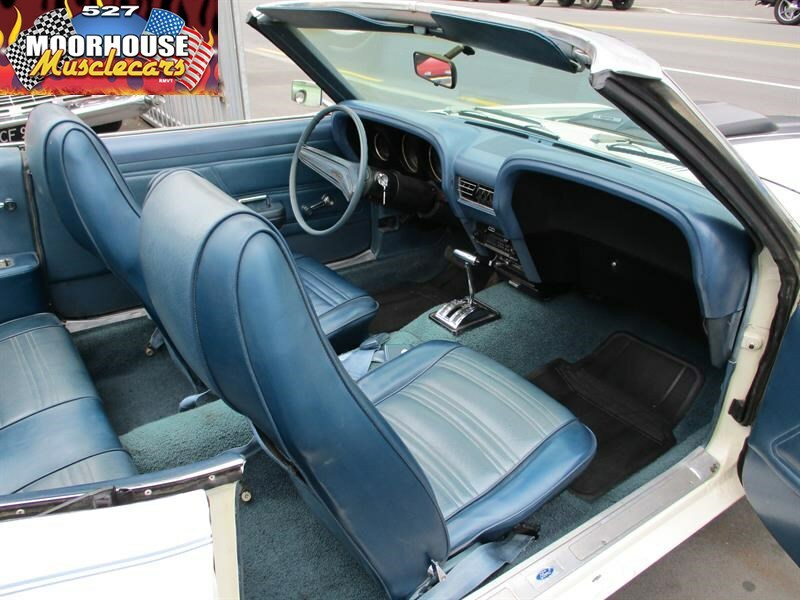 The interior in this lovely old Mustang is in very nice order for the age, and reflects the fact that this one has obviously enjoyed a good life, having been treated well over the decades, and not abused and molested like a lot of these unfortunately have been. 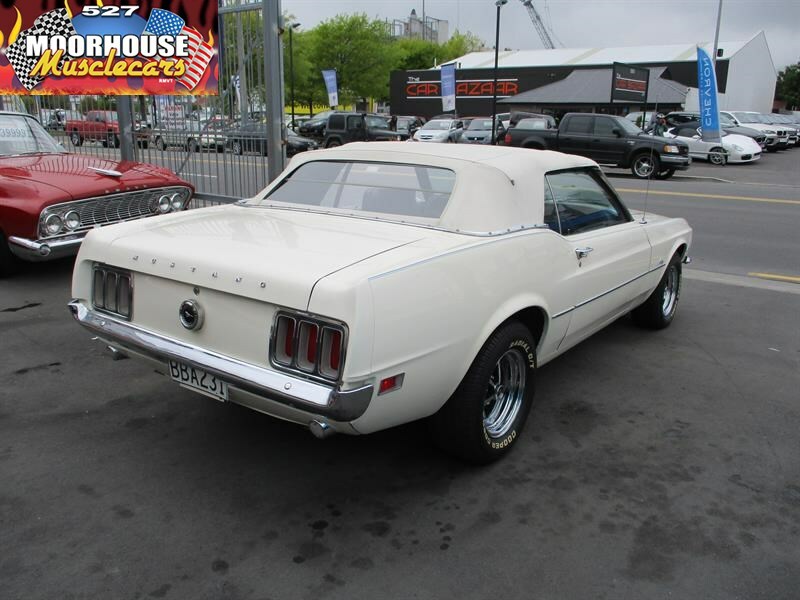 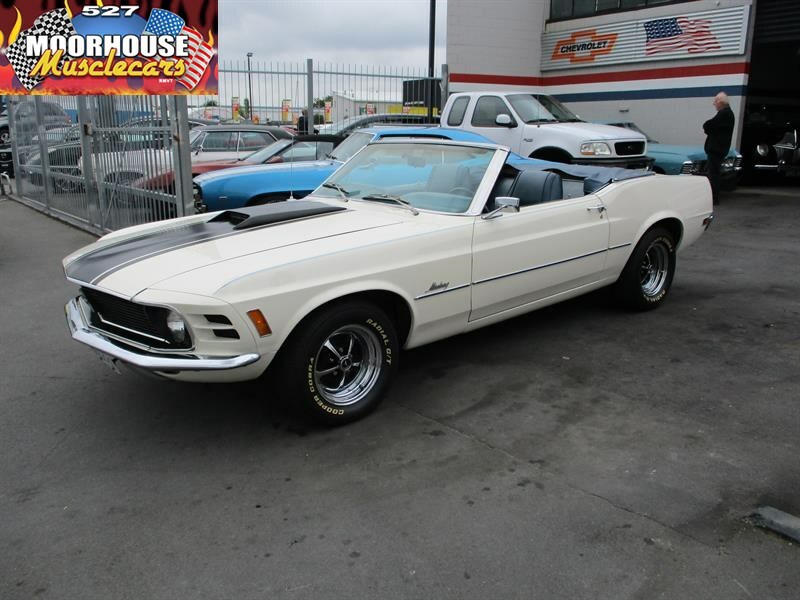 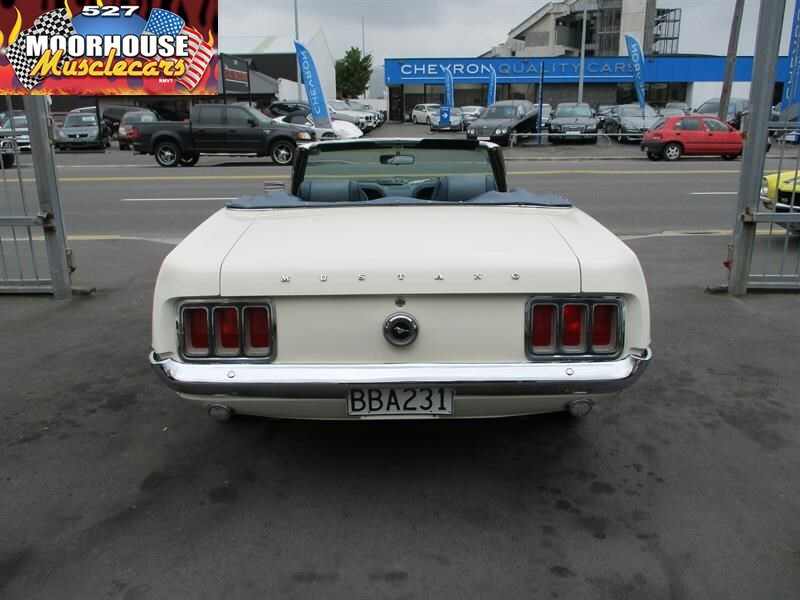 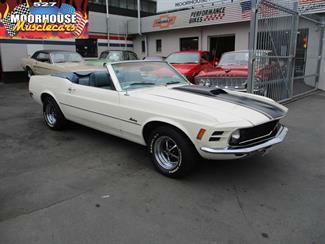 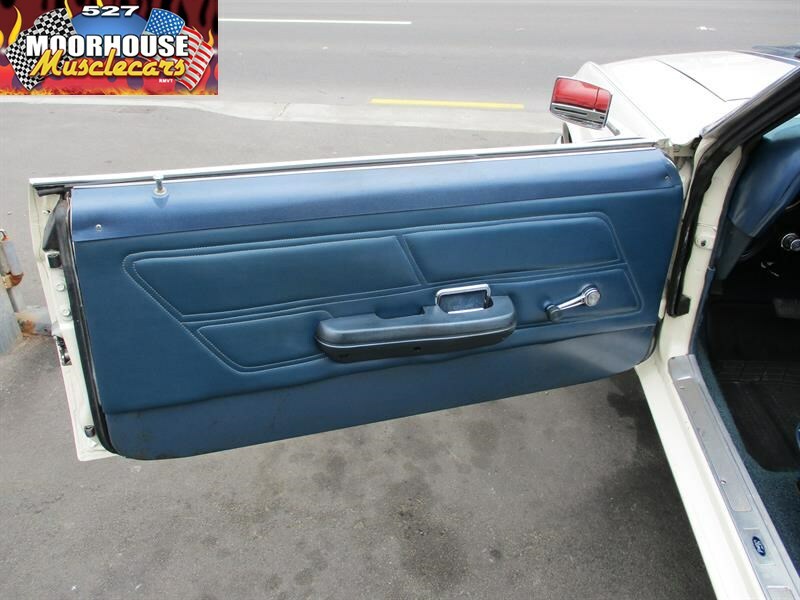 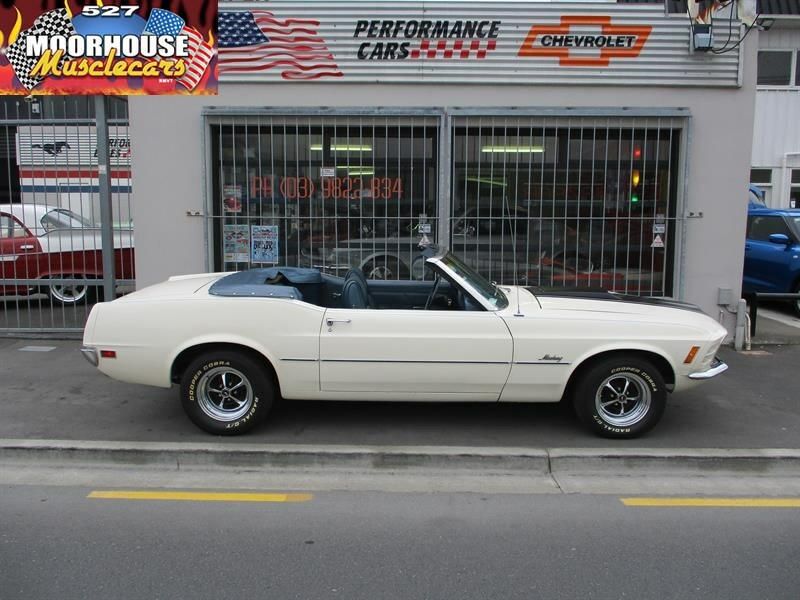 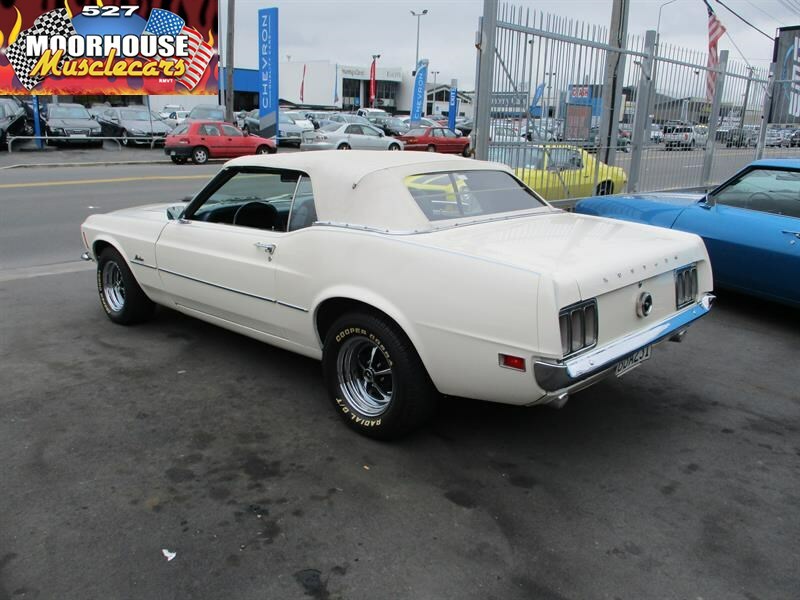 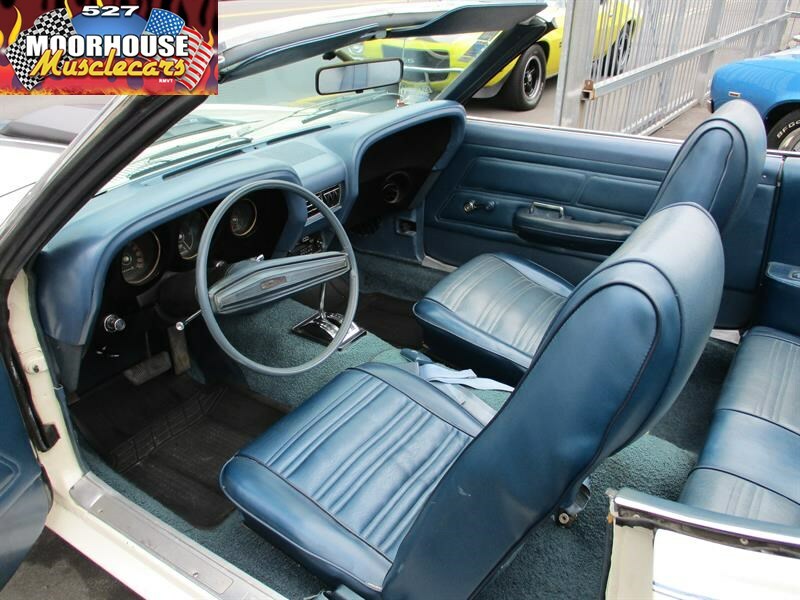 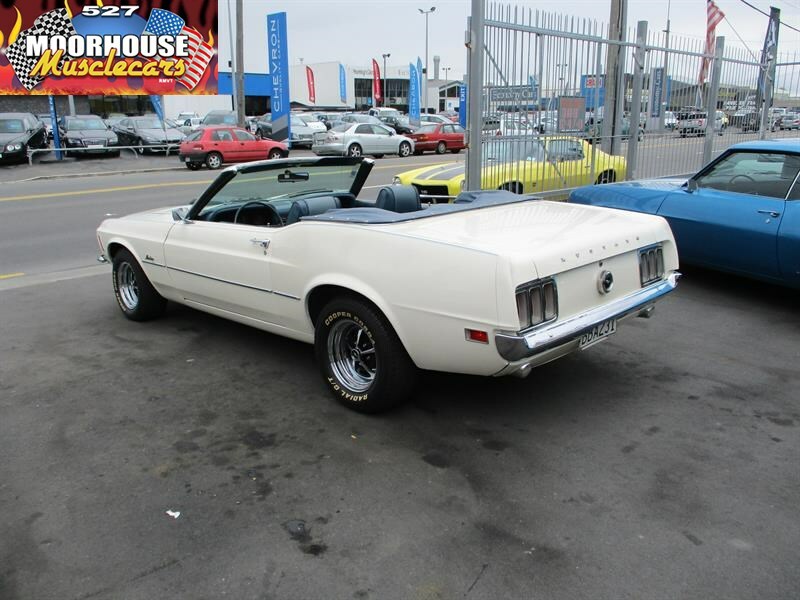 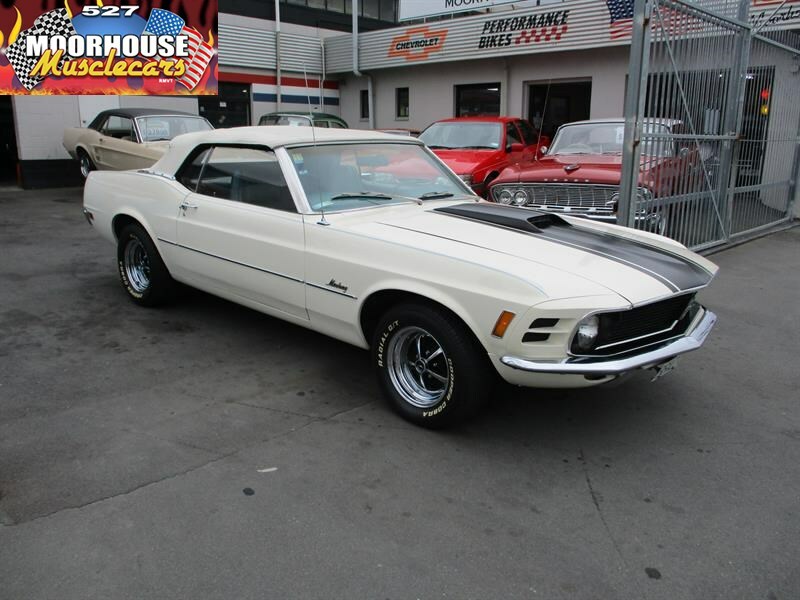 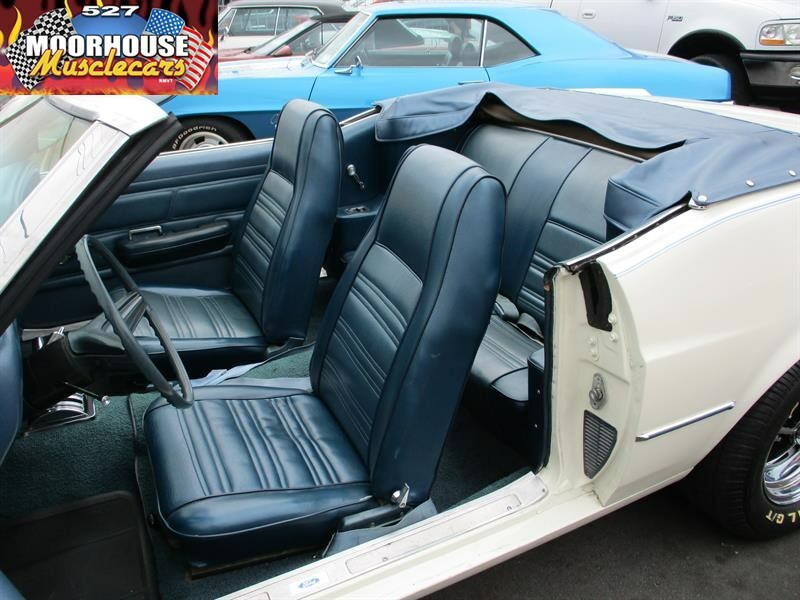 A nice easy to operate power assisted roof with a glass rear window complements the style of this classic Mustang, and being fully belted front and rear, this is one the whole family can enjoy riding in. 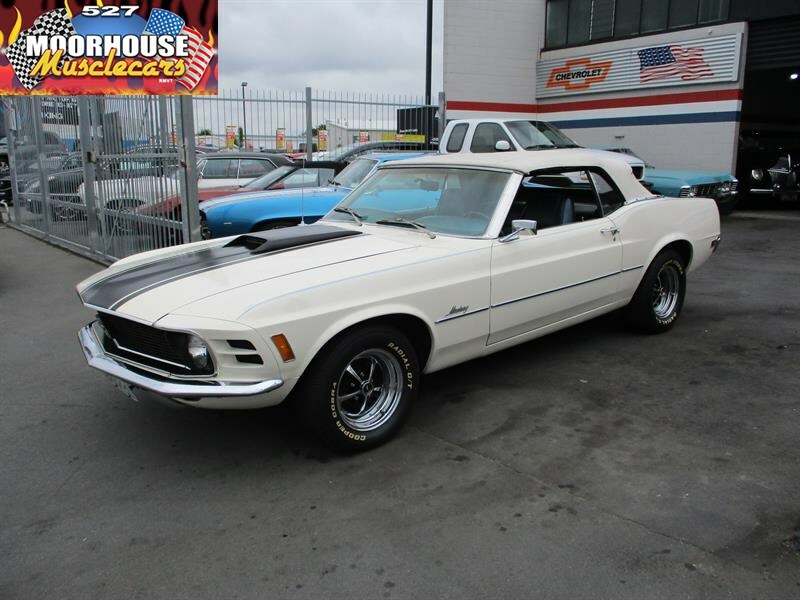 Nice chrome and trim along with excellent bright work finish the overall look off nicely, while the Mach 1 style hood scoop, satin black bonnet stripe, and highly polished Magnum wheels give the package a bit of that desirable 70s Muscle feel, yet still retaining a very classic classy overall style. 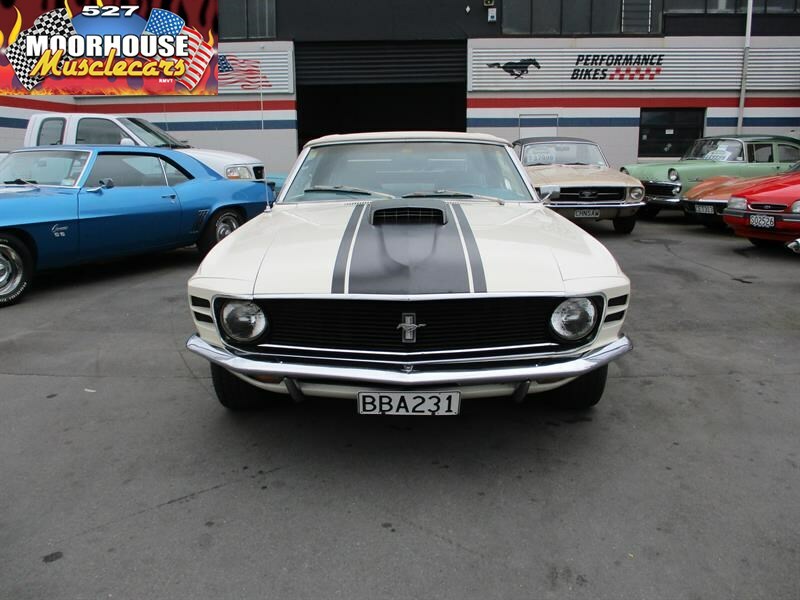 With 1970 being regarded by some as the last of the true classic Mustangs, this one is no exception, a lovely clean looking example that drives as good as it looks, and a whole lot of car for the money, sure to be a decent future investment if it continues to be looked after like it has been in the past. 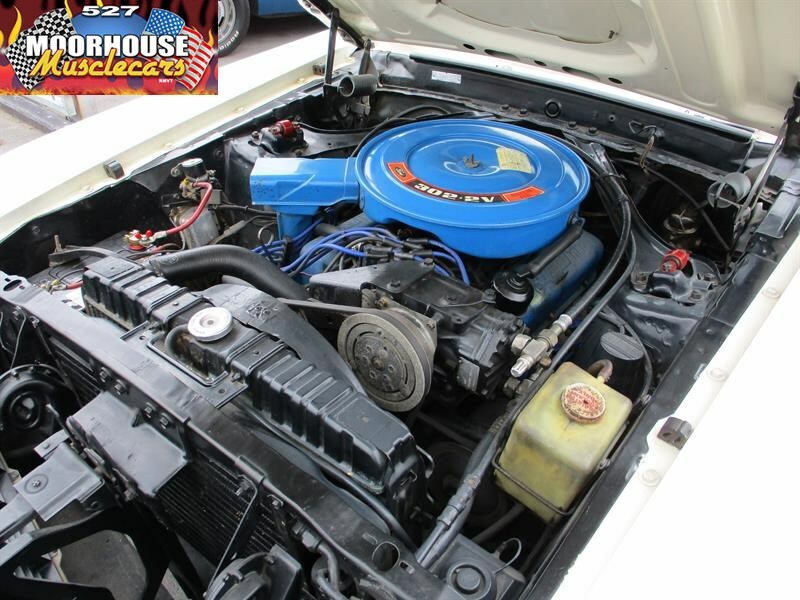 Call today for more details on this one, inspection will impress a genuine buyer.